1. I love the smell of Fall candles. These ones I picked up from Bed Bath and Beyond smell so good! Farmers Market and Autumn Wreath. 2. I love when the weather starts cooling down and it's nice during the day and just barely cool enough at night to need a sweater. At least here in CA. 3. I love when people start getting into the holiday spirit. 4. I love Christmas music! 5. I love fall decorations! 6. I love wearing sweaters, jackets, boots, and slippers. 8. 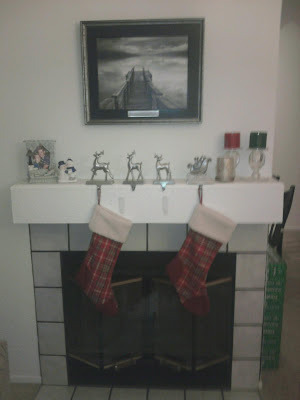 Christmas decorating! This is the first holiday season in our house and we can't wait to put up lights! 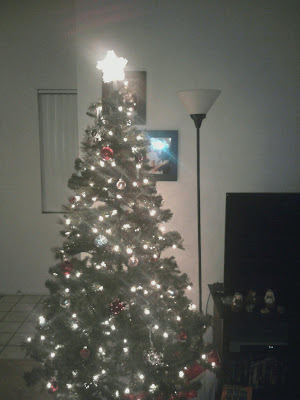 Here are some pictures from last year in our first apartment...sorry they are poor quality. They were taken with my phone. 9. If you were wondering why I was mentioning Christmas, Fall and Winter are pretty much the same thing to me. I'm glad it's fall because I love the holidays! Halloween, Thanksgiving, Christmas, New Years...I love all of them! 10. I'm glad it's fall because that means that most of my family will be together! I look forward to this special time of year to spend time with loved ones. I'm also REALLY glad that this year Michael won't be working on any of the holidays!! don't know if you shop there, but I found some amazing fall candles at WalMart this past weekend in "pumpkin" and "sunflower" for just $5. They smell as good as the ones from Yankee Candlee too! LOVE the fall decor link. I love fall too! I just bought one of those candles last night. I was going to buy autumn wreath, but I decided to buy pumpkin spice instead. Handing out Halloween candy is fun! I always end up buying too much -- I'm terrified I'll run out before the night is over! Shameless plug.....if you like candles, you should definitely look into scentsy! There are over 80 scents and a ton of fall/winter ones. Let me know if you are interested! My fav. is fall too!! I love the brisk smell in the air which I seem to enjoy the most in the morning during fall. Just got a bunch of fall candles as well :) yummy! I love your list lady! I am with you I am so ready for Christmas! 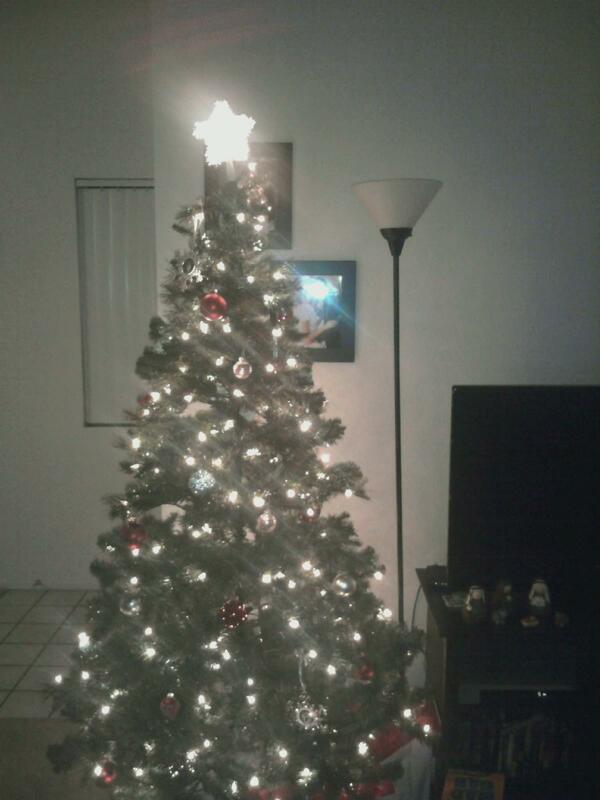 I can't wait til I can decorate, put up my tree, sing Christmas carols, and all that fun stuff! I lest something for you on my blog lady! i love decorating for Christmas too! It's fun to start Christmas traditions as a new couple. J and i try to buy a new Christmas ornament each year for our tree, so that we'll have lots of unique ornaments over the years.